This article explains how to setup a SiteLock FTP account. You must first create an FTP account for SiteLock to use. Then give SiteLock the settings for the FTP Account. These steps will explain how to create the FTP account for SiteLock. Under the hosting tab, click the FTP link. On the FTP Manager fill out the form to create a new FTP account. Login: This will be the login used by SiteLock, please note it always includes @yourdomain.com at the end of the username. Password: This will be the password used by SiteLock. Directory: This will be the directory of the website you have setup for SiteLock. If it is your main site you can use public_html. If it is an addon domain you need to use the directory path to the addon domain. Quota: You can leave this set to unlimited for SiteLock. After the Form is filled out click the Create FTP Account button. To connect SiteLock to the FTP account you need to go to your SiteLock dashboard and enter the FTP settings. Click the Addons tab at the top. 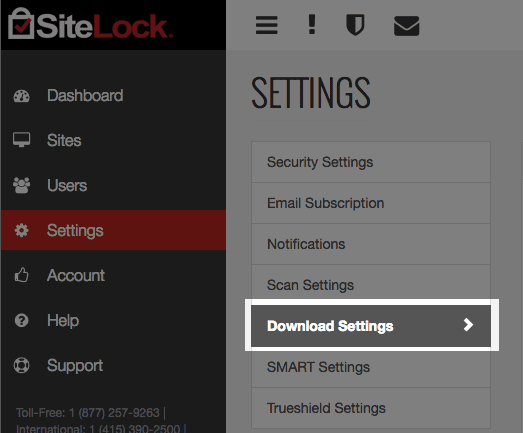 In the SiteLock Dashboard click on the Settings link on the left. FTP host address: ftp.yourdomain.com Example: If your domain was example.com you would use ftp.example.com. Root Directory: Leave this empty. User ID: The FTP username you created including the @domain.com ending. Password: The password for the FTP account you created. 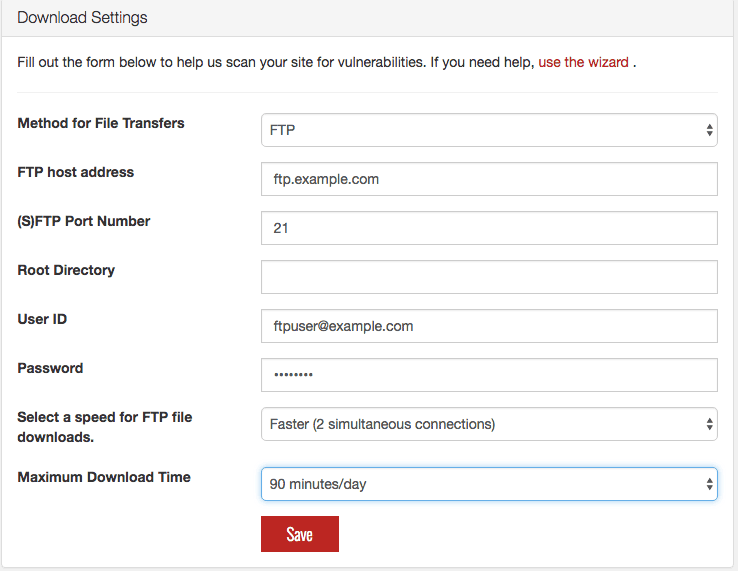 Select a speed for FTP file downloads: Leave this at the default.